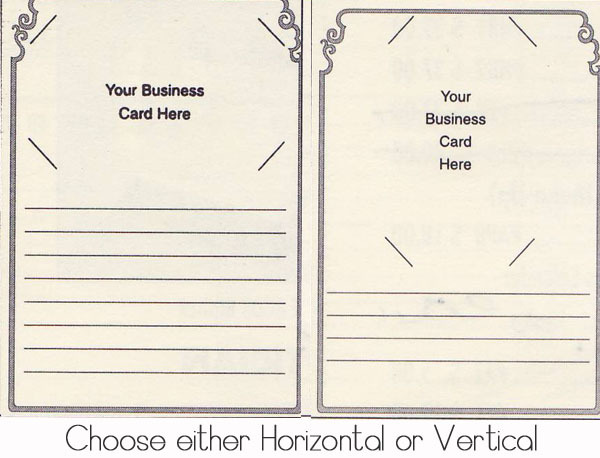 Each card is die-cut to hold your horizontal business card. $15.00 per package. Each package includes 25 Cards and 25 White Envelopes. 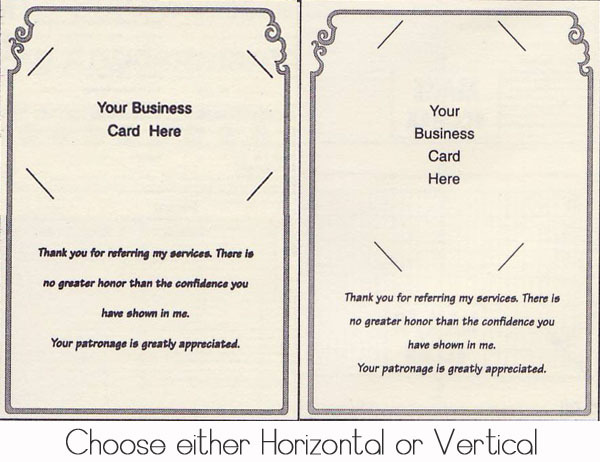 Each Thank You client card is die-cut to hold your horizontal business card. Each package includes 25 Cards and 25 White Envelopes. Available in horizontal only. Each I've Moved client card is die-cut to hold your horizontal business card. Each package includes 25 Cards and 25 White Envelopes. Available in horizontal only. 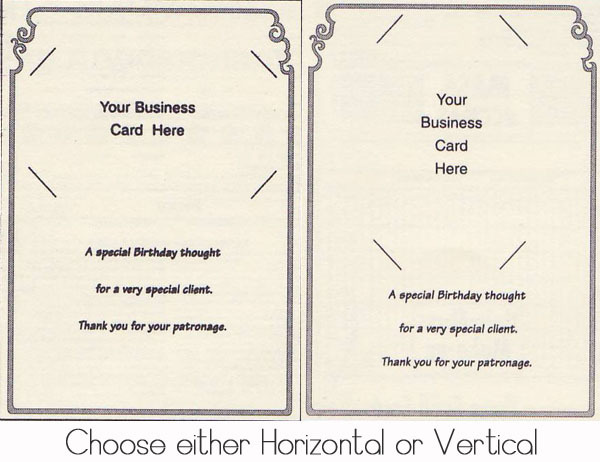 Each Birthday client card is die-cut to hold your horizontal business card. Each package includes 25 Cards and 25 White Envelopes. Available in horizontal only. 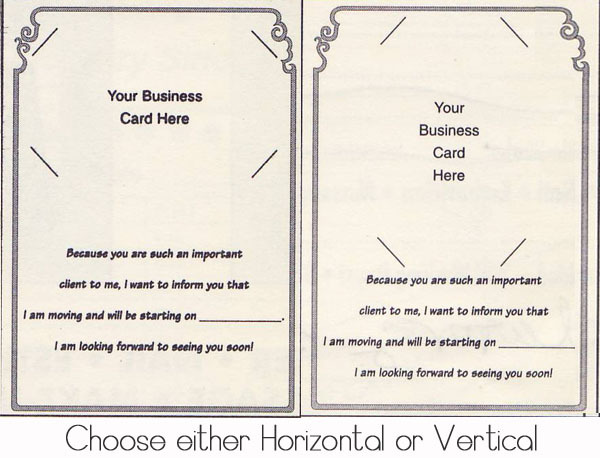 Each Fill In The Blanks client card is die-cut to hold your horizontal business card. Each package includes 25 Cards and 25 White Envelopes. Available in horizontal only.